Welcome to Spot On Defense Firearms Training & Consulting! At Spot On Defense, customers can expect to receive high-quality professional training from a staff based right out of Jacksonville, NC. Whether your training needs are for recreational or personal defense, our staff can provide the knowledge, skills and mindset you'll need to prevail. Spot On Defense offers proven principles of marksmanship and personal defense techniques to increase the individuals' confidence in their ability to control their environment and be secure in their daily activities. ﻿﻿﻿﻿﻿﻿ Take a look at our Training page as well as our Calendar to see what is coming up next. 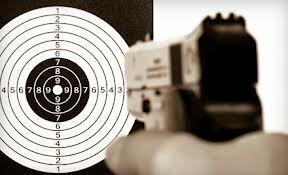 If there are any questions about our training or you just want to talk about guns, give us a call!